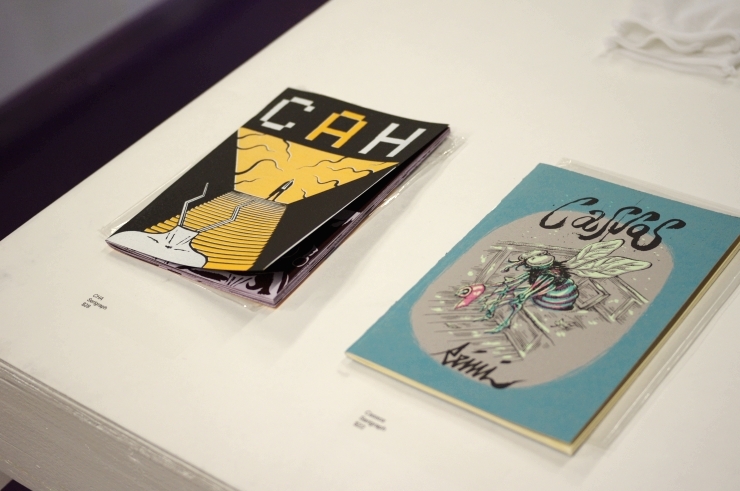 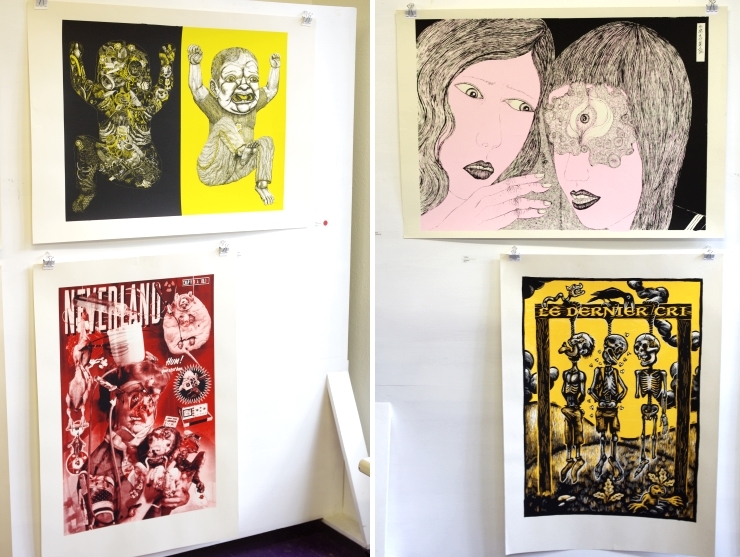 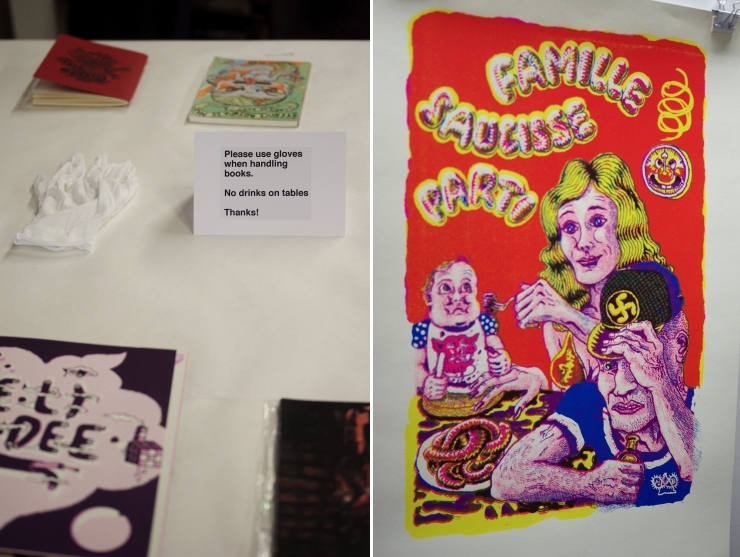 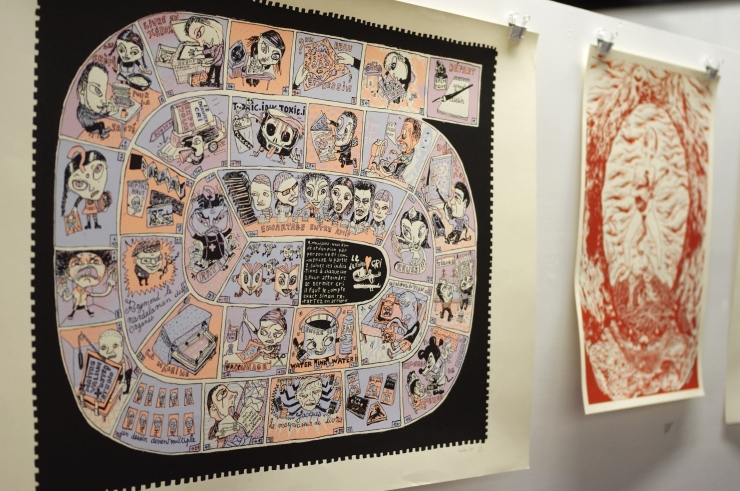 This past weekend, Houston's only print co-op, Burning Bones Press, held an Open House featuring the dark and psychedelic works by French publishing house, Le Denier Cri, and select works from its own artist members. 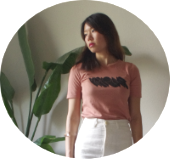 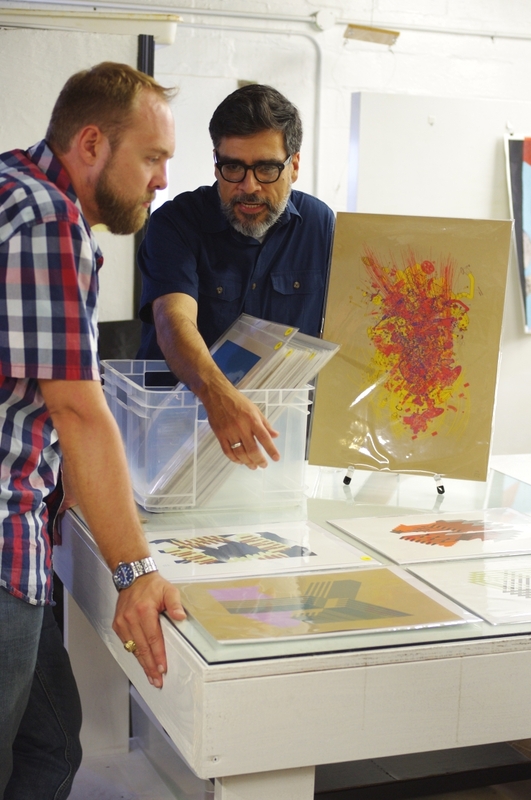 I've been curious to see where my friend, Carlos Pozo, has been churning out his modern, architectural screen prints and was surprised to find such a cool, hidden space catering to printmakers of all types. 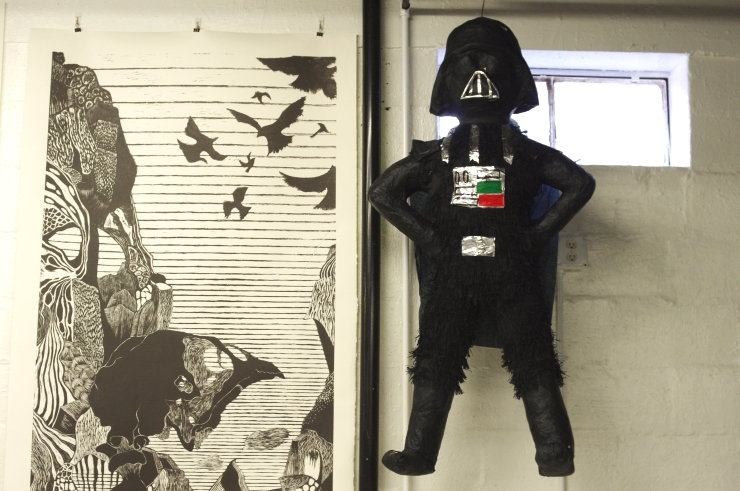 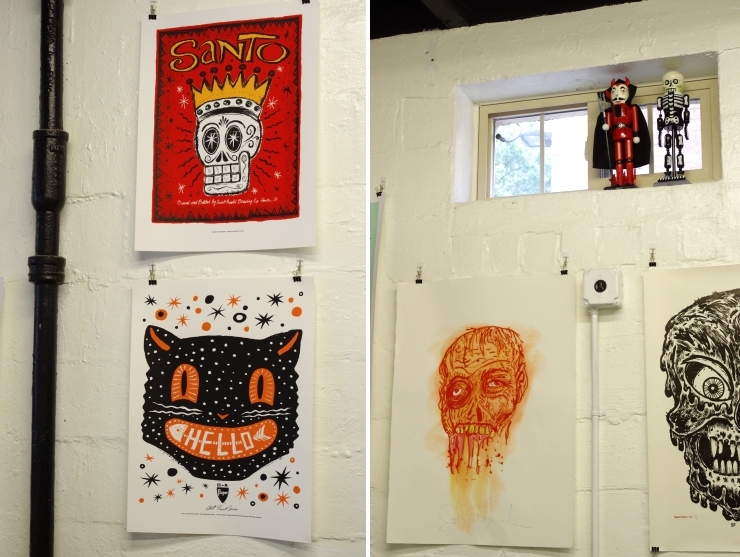 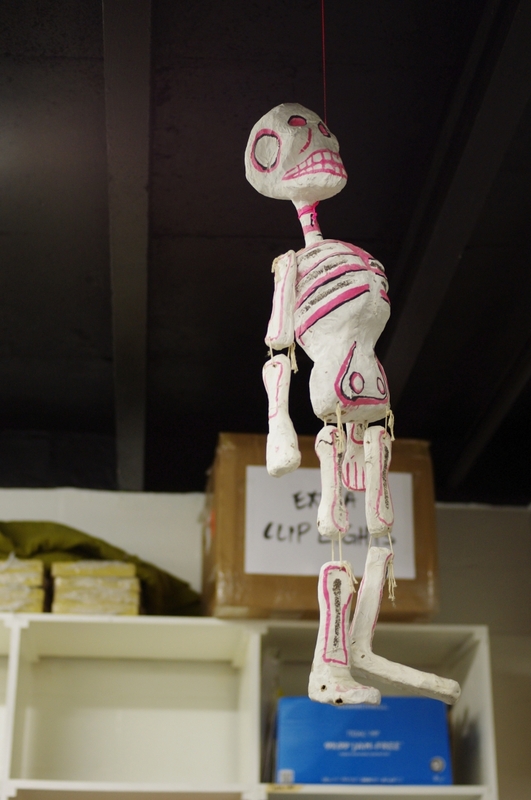 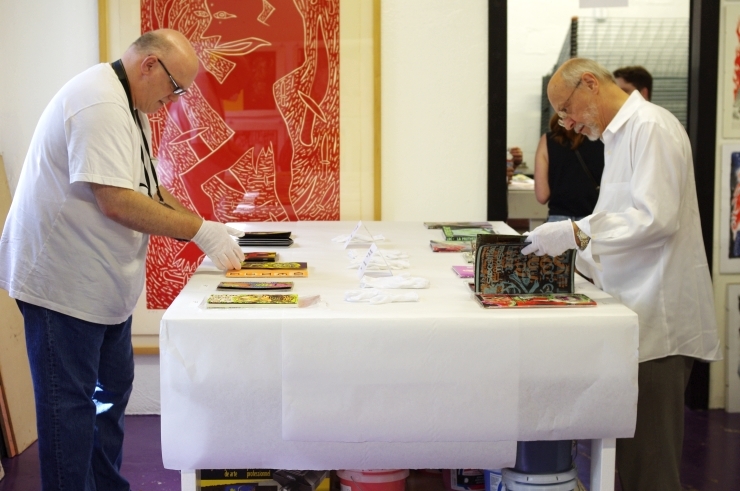 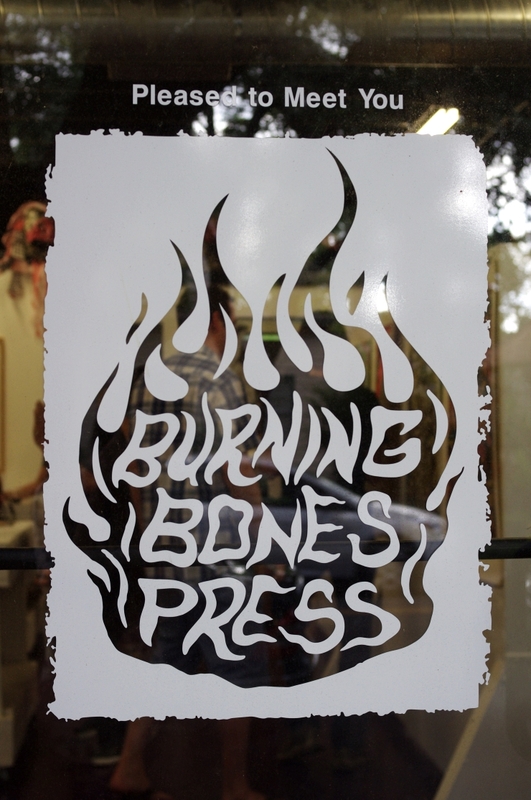 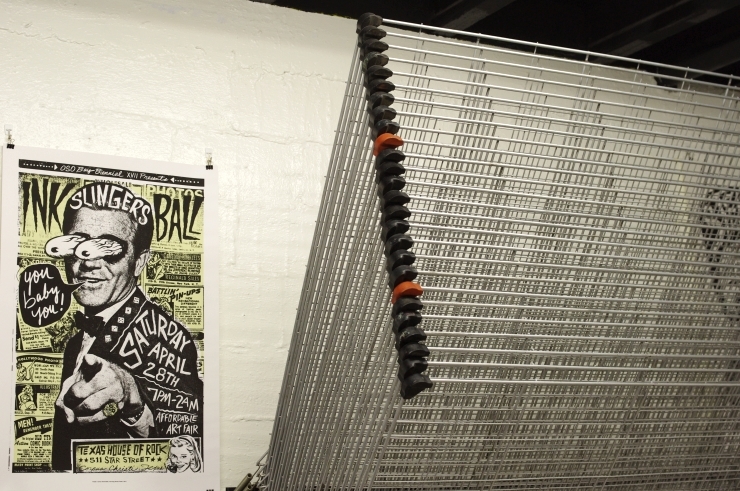 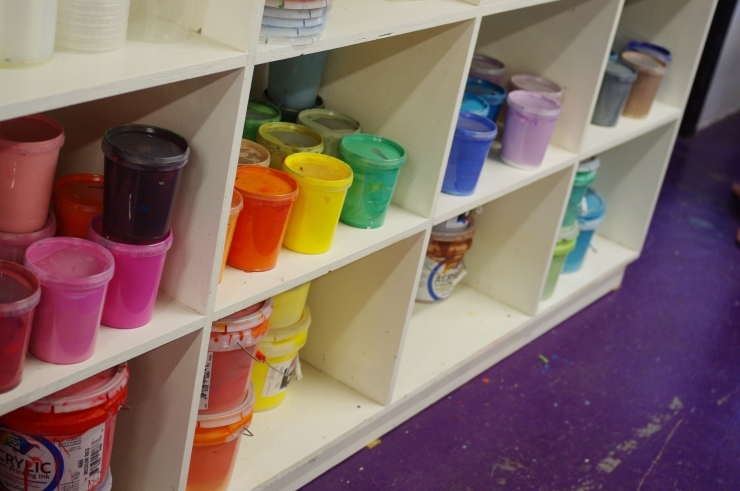 While serving as a workspace for its owners, Carlos Hernandez and Patrick Masterson, Burning Bones is also home to artist members who have all the printmaking equipment and supplies at their fingertips. 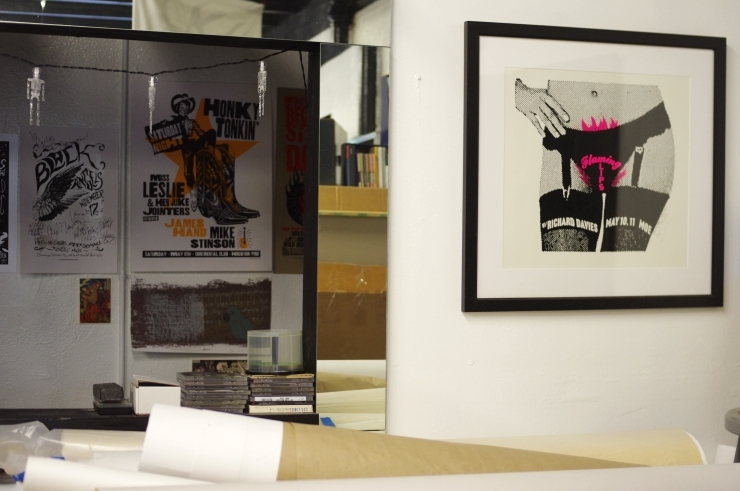 and is open by Appointment Only.